Owners of small businesses have it tough. They have to wear many hats, often managing the majority of their departments on their own or with little help. They often struggle just to stay afloat and avoid bankruptcy. To do so, they’re always looking for new ways to streamline their operations and keep their costs as low as possible in order to have more cash flow. Though they often have their small businesses’ best interests at heart, many owners make a fatal error: they try to handle everything in-house. They believe that outsourcing is just another monthly expense that can be avoided—that taking on all business functions, like payroll, on their own is more cost efficient. Unfortunately, this can lead to errors, inefficiencies, wasted time, and higher risks. A time-strapped, distracted, and inexperienced business owner or employee should not be taking on such a big responsibility. For many small businesses, payroll services are a better option to in-house processing. 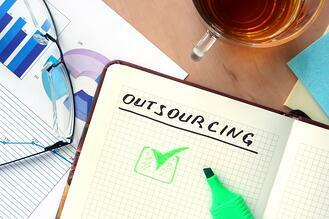 Outsourcing the responsibility comes with three particularly big advantages. This one might be a shocker but small businesses can actually reduce their costs by using payroll services! You shouldn’t think of outsourcing as an extra expense, you should think of it as a way of cutting costs in many areas of your business. Firstly, because experts will be handling the processing of your payroll, you’ll increase accuracy, which means you won’t accidentally overpay your workers due to inaccurate time records or calculations. Secondly, you’ll significantly reduce your risk of non-compliance with payroll regulations, so you won’t be forced to pay hefty fines because of innocent errors being made. Third, you will only have to pay one monthly fee to your payroll provider, which will be lower than the cost of hiring a clerk to help and paying a salary and benefits, paying for software, equipment, supplies, maintenance, repairs, and training. Your payroll provider will have everything you need to process payroll, so you don’t have to invest in any expensive technology or other necessities like you would if you handled the responsibility in house. Owners of small businesses are often strapped for time. They often spend 12 hours or more every day working in the office, plus weekends and holidays. And many of these hours are spent on payroll processing every pay period. It can be incredibly time consuming to track hours of work, research tax legislation and payroll regulations, make the appropriate calculations and double check your work, and fill out all of the required paperwork. This is time spent away from your core business, your friends, and your family. Payroll services will allow you to have more time in your day for the things that matter. You won’t be as overworked and you won’t be so distracted. You’ll be able to focus on your core business or spend more time outside of the office. Sounds nice, doesn’t it? When you invest in outsourced payroll services, you get to gain access to much-needed expertise. Your payroll needs won’t be handled by just anyone—they’ll be taken care of by experienced and skilled professionals who understand the ins and outs of payroll processing and administration. You won’t have to worry about making costly errors that damage your reputation and upset your employees; you won’t have to remember to keep up to date with remittance deadlines; and you won’t have to worry about being non-compliant with any of the hundreds of payroll and tax regulations you’re expected to know, understand, and adhere to. Your team of experts will be by your side, handling the paperwork, compliance issues, and calculations. And they will be there to provide guidance, recommendations, and advice whenever you need it. Investing in payroll services is worth it for small businesses. As a small business owner, you’ll save time and money and gain access to payroll and tax expertise. Small businesses are constantly struggling to increase operational efficiencies in various departments while keeping costs as low as possible. Many owners believe that taking care of everything in house is the best solution, especially since small businesses don’t have endless streams of money to allocate to operational tasks. Unfortunately, this means that critical responsibilities like payroll processing are performed by inexperienced and time-strapped owners. When you’re short on time because you’re doing everything alone, you might not give payroll the focus it needs. And since you’re understandably not a payroll expert, you might make errors that can seriously affect your business in a negative way. Fortunately, you don’t have to handle it all alone—you can hand it off to a third party. Here are three reasons why small businesses should outsource payroll instead of processing it in house. As a small business owner, you might have a tight budget and wear many hats in order to reduce operational and labour costs. Since you don’t want to blow your budget, you think doing everything yourself, in house, is the most cost-effective option. You might be surprised to hear that you could actually save money if you outsource payroll. For one, when you outsource, you won’t have to pay a salary, benefits, and vacation or sick days like you would have to if you hired a part-time clerk. You also won’t have to pay for any training or seminars to keep up to date with changing tax legislature. You won’t have to buy any expensive payroll software or even supplies and equipment, like printers, paper, or ink when you outsource payroll. Your payroll provider will already have these supplies and equipment and the up-to-date technology you need—and you’ll get it all at a cheap price because you’re sharing the resources with dozens of other small businesses. Payroll processing is incredibly time consuming. A lot of research, calculations and paperwork must be done to ensure that you’re paying your employees correctly. Plus, it has to be done every pay period, with no exceptions. Whenever you’re done one pay period, another one is always right around the corner, waiting to be finished. And because small businesses often only employ one or two employees to handle the work of several departments, there’s just no time to spare to dedicate to payroll. When payroll processing takes up all of your time, you don’t have any left to focus on your core business activities, which is really where you should be dedicating your time. When you outsource payroll, you’ll have a whole lot more time on your hands so you can focus on growing your business through sales and services. Payroll legislature changes often; therefore, the chance of you making innocent errors while processing payroll increases significantly. The payroll regulations related are often too complex to risk handling on your own. The money you might save is not worth the risk of getting hit with interest charges from missed deadlines or fines and penalties from improper processing. When you outsource payroll you get a whole team of experts on your side that can give you payroll and tax advice and make sure you’re always in compliance. When you outsource payroll, you can actually save money. Plus you can save time in order to focus on your core business activities as well as leverage outside payroll expertise to mitigate risk. It’s time to take advantage of the benefits of outsourcing your payroll processing to an outside service provider. The truth about small businesses and payroll is straightforward and simple, even if most don't want to admit it. What is the truth? Payroll takes a great deal of experience and nuance to master, and small businesses and companies that are starting out simply do not have the resources and know-how to make it happen. 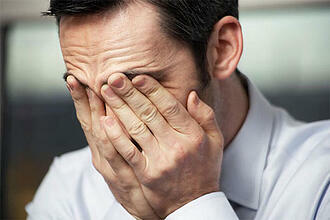 What are the most common payroll mistakes? Payroll processing involves much more than determining employees' rate of pay and weekly, biweekly, or monthly hours. Taxes and deductions must also be taken into account. Bonuses, commission, hourly vs. salaried employees, and more are also things to consider. Even small business payroll solutions involve a lot of work and an array of factors. Using the wrong software can ultimately affect employees pay and company expenses. The majority of start-ups and/or small businesses do not use proper payroll software. Software may be outdated, ineffective, and/or lacking the proper updates. Some companies may not properly secure payroll software, which can put confidential business information and personal information at risk. Online payroll processing systems can help companies smartly and efficiently manage payroll with the most up-to-date and secure software; some also offer HR software, web portal services, and automated phone systems. Small businesses sometimes stretch their time and resources very thin. For that reason, they can also make careless mistakes and mishaps, all in the name of getting payroll information processed on time. Third party payroll companies, online payroll management systems, and/or small business payroll solutions can take over payroll for you, so you don't have to rush it. It happens to nearly all new and small businesses. They're prone to payroll mistakes, and that's that. Whether it's using inefficient software, cutting timing too close, or forgetting some important details, a professional service can help point out all of these mistakes and help prevent you from making them in the future.